Technopolis will open a new UMA coworking space in downtown Stockholm in April of 2018. The company has signed a lease on a 2,350 square meter space which will have approximately 50 small offices, 90 hot desks and 10 shared conference rooms. 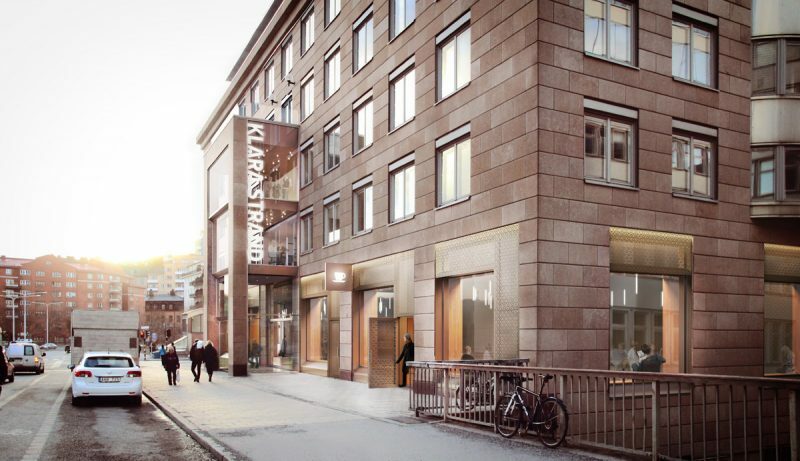 UMA Kungsbron is Technopolis’ first office space in Stockholm. It is located next to the Cityterminal and the Arlanda Express station in the city center. In Sweden, Technopolis already has operations in Gothenburg. UMA Workspace is Technopolis’ network of coworking spaces. Its flagship space, UMA Esplanadi, opened in Helsinki in 2016. This space has already been expanded once due to strong customer demand. UMA offers shared work space and service solutions in Central Business District (CBD) locations, where customers can work efficiently and flexibly, either in the privacy of their own serviced offices or as part of the UMA open working community. Demand for shared work spaces and services is on the rise and Technopolis has reserved 30 million euros to build up a network of 20 new UMA spaces to meet this demand in the major cities of the Nordic and Baltic Sea region. UMA has been popular among large companies where work has become increasingly mobile. For example, a flexible workspace in a central location is ideal for meetings if the company’s own office is located in the suburbs. At the same time smaller companies and startups have benefitted especially from the UMA community. “For big companies, UMA works as an extension to their main office, while small companies are likely to benefit from the networking opportunities that these spaces provide. I think that our space in Stockholm will have the same profile as in Helsinki. We have a lot of roaming customers and we believe that many of them will use our new UMA on their business trips in Stockholm. There is strong demand for flexible and modern workspace in Stockholm CBD, because there is a shortage of space in the city center. At the same time Stockholm is the hottest city for coworking in the Nordic region, so we are very excited to get our foot in the door,” says Niko Pulli, Director of Services at Technopolis. ”Expanding the UMA concept is an essential part of our strategy. This new UMA in Stockholm is an ambitious first step, but it’s just the beginning. We intend to expand our footprint in Stockholm, Helsinki, Copenhagen, Oslo and in other major cities in the Nordic–Baltic Sea area,” says Keith Silverang, CEO of Technopolis. Technopolis has 12 UMAs at the moment. Beyond Helsinki city center, they are located on Technopolis campuses in Finland, Norway, Estonia, Russia and Lithuania. Customers can access all of these spaces with one membership. Technopolis will publish its quarterly report today. A webcast briefing will be held at 10:00 a.m., during which it is possible to ask questions about the new UMA in Stockholm.